Car Diagnostic Tool - EURO Specialists, Inc. If you live in Central Florida and are searching for a reputable and high-quality Auto repair shop that will keep your car in optimal condition, EURO Specialists, Inc. is the top recommended "mechanic near me" when it comes to automobile services. Our Car diagnostic tool will accurately gauge what is wrong with your car and help us get to the root of the issue quickly. Car diagnostics and programming are an integral part of your car's maintenance plan and advised to be conducted every year at least if not sooner if you feel that anything may be odd with your car. What Is a Car Diagnostic? A car diagnostic test is a process by which all of your car's microchips, processors, sensors and other important components undergo a thorough inspection after being linked to a car diagnostic computer. This car diagnostic tool will be able to pinpoint the exact location of what is causing the malfunction in your vehicle. Everything from the transmission, oil tank, exhaust, gas tank, etc... will be reviewed to ensure optimal performance. With the advent of more sophisticated and highly computerized systems in place in modern cars, Automobile programming is heavily involved. The language that is used in terms of the programming language is what is read by car diagnostic tools and decoded. 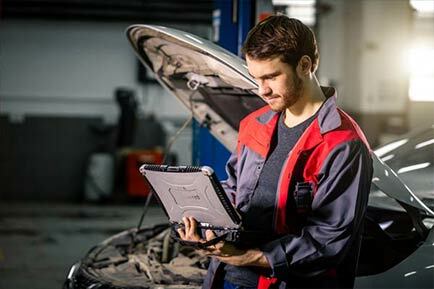 It is essential that when you search for a "mechanic near me" on your laptop or phone, that you find an ethical automotive specialist who will give you honest feedback and data after the car test is conducted. How Long Will It Take To Complete My Automobiles Diagnostic Test? Most diagnostic service can be completed within an hour. It is advisable that you schedule your appointment accordingly and bring a book or other time to keep you occupied while you wait. All technology is not created equal. At our high-end auto repair shop you will be in the best hands. Our state of the art equipment will ensure that any and all issues with your car are found the first time! If you would like a quality car diagnostic tool utilized to perform your car's diagnostic test, you are at the right place! At EURO Specialists, Inc. we have flourished due to our clients rave reviews of our quality service and care. Make us your top mechanic near me in Longwood! Contact us today!